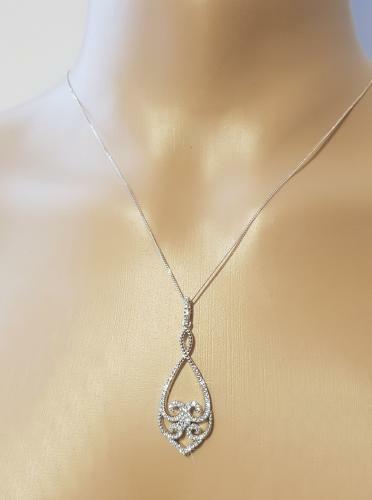 A beautiful Sterling Silver necklace which is set with sparking white Cubic Zirconia stones. Pendant measures 4.5cms in length, including pendant bale. Supplied on a Sterling Silver lightweight curb chain which is adjustable from 16-18". Different chain lengths/styles are available, contact us for more information.